Class reunion information and you can Contact Us for class websites, dates times and locations. Plus White Bear Lake area hospitality information. View the Wall of Fame past inductees and thier accomplishments along with how to nominate future Wall of Fame recipients. 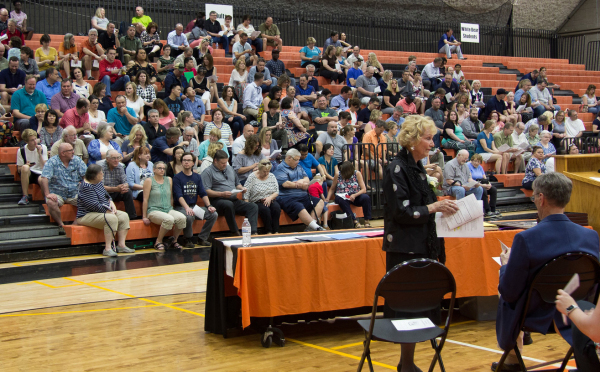 Join us on Facebook and connect with over 3,500 White Bear Lake Schools Alumni. Representing former graduates, retired and present staff, parents, friends, businesses and organizations supporting the Alumni of White Bear High School (1900-1983), Mariner High School (1974-1983), White Bear Lake Area High School (1984-present) and the Area Learning Center. 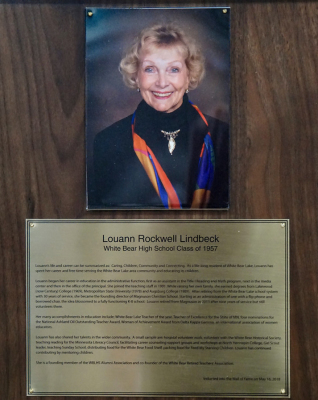 On Wednesday, May 16 Louann Rockwell Lindbeck became the 28th member of the White Bear Lake Area Alumni Association Wall of Fame. A reception was held at The Station in downtown White Bear Lake followed by the induction ceremony at South Campus. 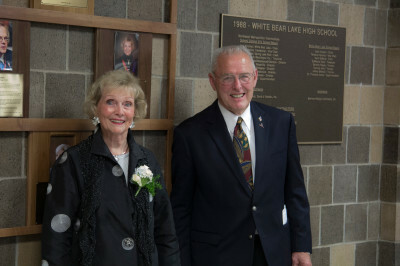 An historical note: Louann joins her husband Lin, WBHS Class of '58 - inducted 2005, becoming the first, and only, married couple as members of the WBLAAA Wall of Fame. Congratulations to Louann. White Bear goes down the field fighting for fame! 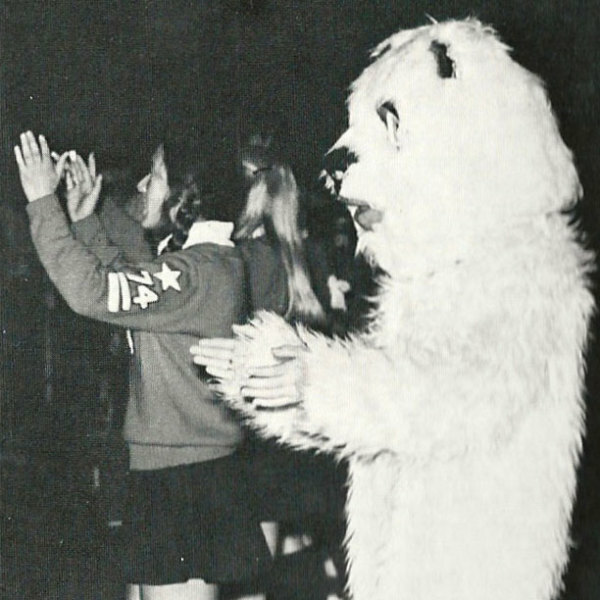 For the Class of 1971 and 1972, the opening lines to the White Bear Lake High School fight song holds many memories. This month takes on another chapter as the two classes contribute $8,000 to be equally divided between the Fred Konrath and Harry Meyer Scholarship Funds to support continuing education for graduates. This is the first time two White Bear Lake Area High School classes have partnered together to donate money raised over the past years from numerous activities. Deb Acheson Berry, Class of '71, recalled how she and her husband Jim ('72) began brainstorming with their respective classes about how to give back to the educational system that set direction to their lives.“As a group we began to define our objectives, which include the tangible benefits — scholarship monies — but also the possibility that our example might inspire others to follow suit,” said Acheson Berry, who serves as secretary of the area alumni association. 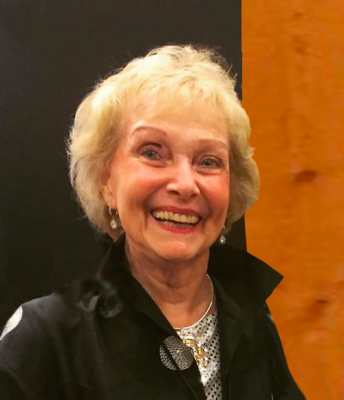 “In looking at all of the various scholarship funds under the administration of the WBLA Educational Foundation, splitting the money raised between the two touched on three areas: the arts, academics, and athletics, which we felt represented our respective classes as a whole,” added Scott VanOrsdel, Class of 1971. 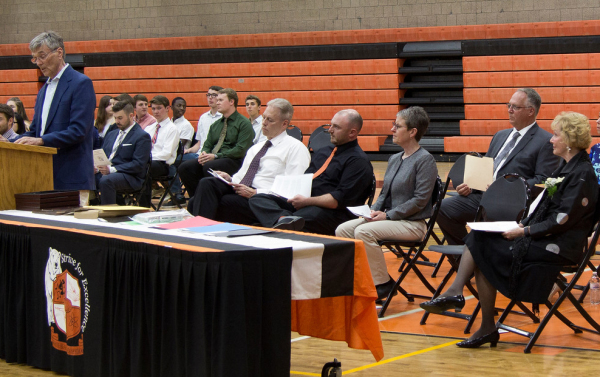 “We set out as two classes to raise $15K to create an educational scholarship fund to support White Bear area students. However, we found we lacked the appropriate non-profit classifications to continue. Our decision to donate money to existing funds keeps our intent alive and immediately honors two legacy teachers from our high school,” said Class of '72 spokesperson Steve Rukavina, who lives in Philadelphia and could not attend the presentation. Both Fred Konrath, who died in 2016, and Harry Meyer, who died in 2011, held special places as educators in their areas of Business Education and Music, respectively. However it was on Friday nights, when the two came together in the minds of many of their former students as Coach Konrath’s Bears took to the football field under the lights while Harry Meyer’s pep band filled the autumn air with the sounds of the school fight song. 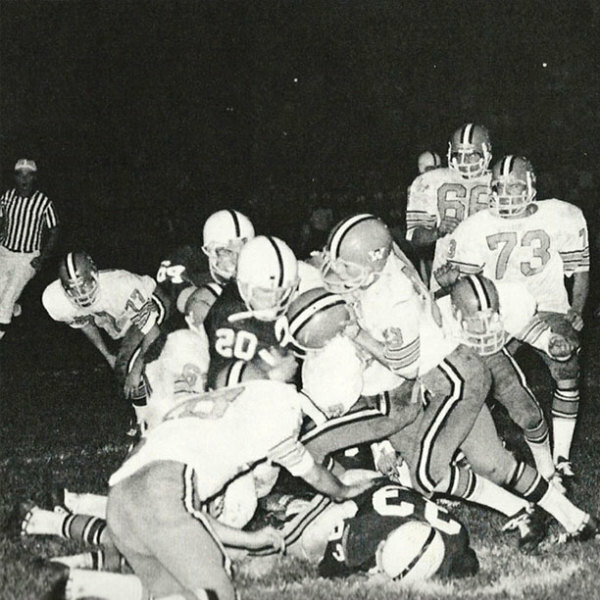 For the White Bear Class of '71 and '72, enabling the families of Fred Konrath and Harry Meyer, beloved educators and coaches, to continue to touch students' lives as both men did while performing on those wonderful autumn nights some 45 years ago, is a fitting tribute. Upper left: Student Signey Oslund received the Harry Meyer scholarship award from Principal Tim Wald. 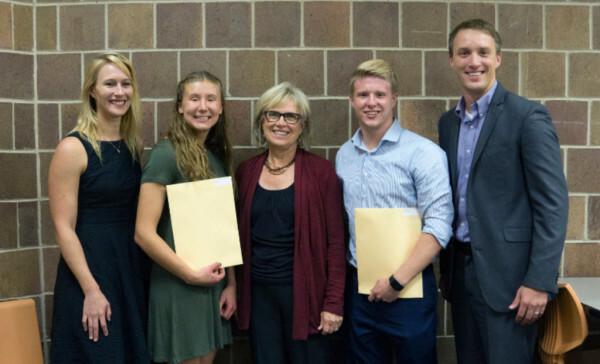 Upper right: The Konrath family, Jill, Katie, and Ryan, with scholarship recipients Samuel Broberg and Keely Nistler. The scholarship is named after the late Fred Konrath. Thanks to Steve Johnson, '56 WBLAAA Nominations Committee Chair, the Wall of Fame now has been upgraded and has a new location! 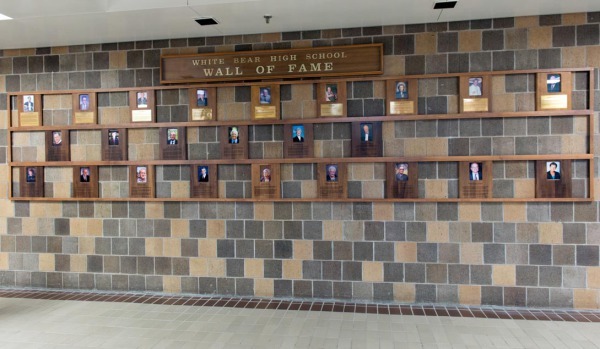 The Wall of Fame has moved to the South Campus south foyer entrance (cafeteria & gym) and is located directly to the right as you enter the first set of double doors. All 26 recipients are now well displayed with room to grow. Edwin Nakasone is the inaugural recipient of the Alumni Association's Scholar Award. Nakasone, a history teacher at White Bear Lake High School from 1956 to 1970, was presented the award for excellence as part of the fifth All School Reunion. 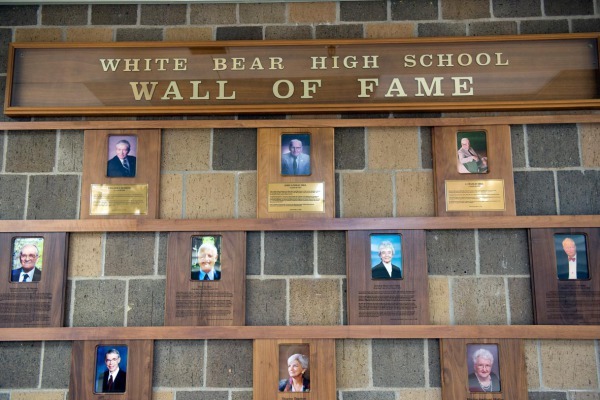 Since 1992 the WBLAAA has recognized accomplished alumni through the Wall of Fame. 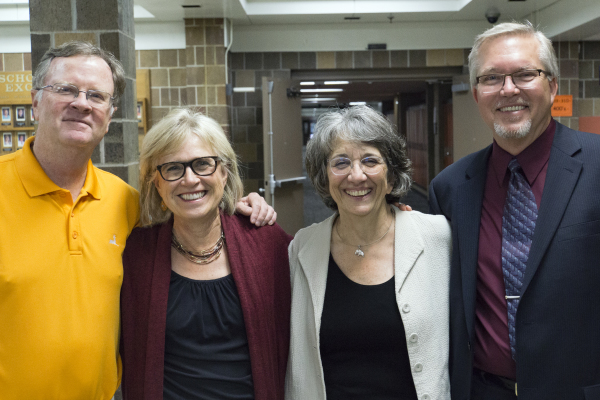 According to board members Deb Berry '71 and Dan Jones '84, association leaders decided this year they also wanted to start paying tribute to the educators who made a mark on their young lives and gave to the community in other ways. Scott VanOrsdel '71, a former student of Nakasone's and executive at Cargill, presented the award. Nakasone was the unanimous choice by the association board as the first honoree, Jones said. Nakasone, now age 88, taught 11th-grade American history at White Bear Lake High School. After also teaching part time at Lakewood Community College for a few years he left the high school and taught history and international relations at the college (which became Century College) from 1970 to 1999. In later years, in two-month stints, he taught history to sailors aboard Navy ships. Nakasone is the son of Japanese immigrants and grew up in Hawaii. He was 14 when he witnessed Japanese planes bomb an airfield and barracks as part of the Pearl Harbor attack. He enlisted in the Army right out of high school. By then the war was ending, but he was sent to Japan as an interpreter aiding the reconstruction. Nakasone became a frequent speaker and still gives presentations about what he witnessed in Hawaii and Japan. 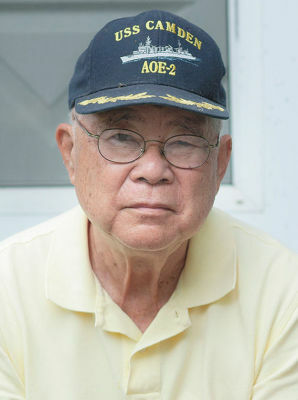 He also has written books about Japanese-American soldiers in WWII. 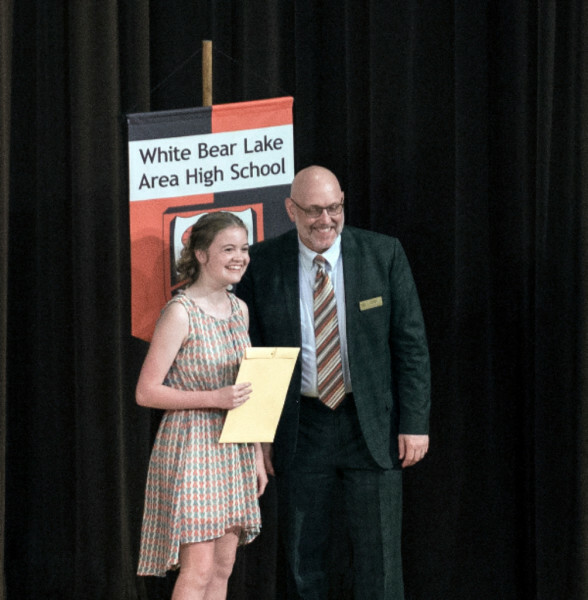 The White Bear Lake Area Alumni Association is an official division of the White Bear lake Area Educational Foundation. 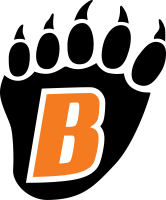 The mission of the WBLAAA is to benefit the Foundation by perpetuating the history, culture and traditions of White Bear Lake Area Public Schools. The White Bear Lake Area Independent School District #624 serves the White Bear Area with four Early Childhood program locations (birth-K), nine elementary schools (K-5), two middle schools (6-8), a two-campus high school (9-12), an Area Learning Center and a Transition Education Center. The school district, with a total population of approximately 50,000 residents, serves approximately 8,900 students PreK-12. The district also offers adult basic education, community education classes, recreation offerings and a senior program.